With the opening of our newest room Disturbed, it's the perfect time to book in to play a scary room in time for fright night. If trick-or-treating isn't your thing, or if you prefer to stay indoors on a cold October evening then Breakout is perfect for you! Our Manchester High Street site has four spooky games to choose from; Vacancy, the murderous motel Crimson Lake sees many guests check in, but none check out. Captured features an ominous basement where your team have awoken following their kidnapping – a 60-minute countdown begins, telling them they need to leave before their captor returns. If you're looking for a 'peaceful' break from city life, why not visit our lovely cabin in the woods, Forsaken! After being invited to stay by a distant relative, the cosy cabin soon turns creepy when satanic symbols and occult objects are unearthed. 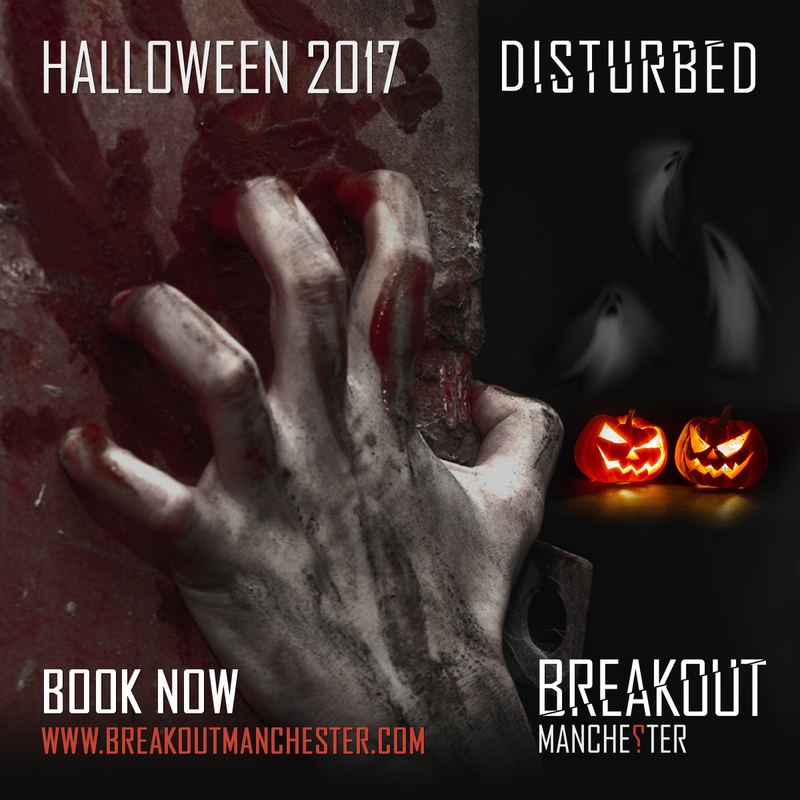 And finally, the newest room Disturbed is available to book now, starting from Wednesday the 25th of October. Set in an abandoned hospital, teams must track down their missing friend PC Richards, who had become obsessed with her current investigation searching for a crazed killer. Find out what happened to PC Richards to escape a gruesome fate! If you're not close by to Manchester, our sites in Liverpool, Chester and Cardiff have their own versions of games fit for a ghoul. Liverpool and Chester both have a copy of Vacancy, which are very similar to Manchester's version, and Chester and Cardiff have their own copies of Disturbed.